We got back from our long Cape Town trip this afternoon… more of the travel photos will be posted tomorrow… but first I need to talk about the reason we travelled to Cape Town. 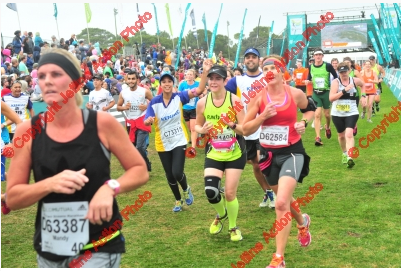 I ran the Two Oceans half marathon!! Yes, there are 2 exclamations on purpose. This race was my goal… at first I whispered it, because I wasn’t sure I would actually do it. 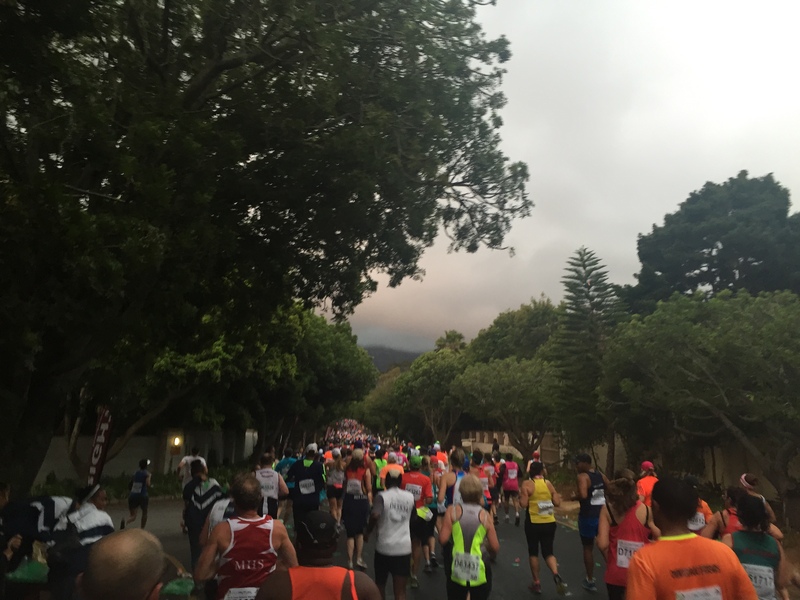 Then I did a 21km race to see whether I could do it… and then I signed up! It may “just” be a half marathon, and I’d done 3 of them before, so this should have been a walk in the park really. But the lead up to this race is crazy, partly because I followed the Two Oceans Twitter and Facebook streams and I was reminded of the race every single day. It makes you a leeetle nervy. I ran a personal best for 21.1km… I finished in 2h23:50 and I’m thrilled with the time. I wasn’t aiming for a PB, and I probably could’ve gone faster in the middle of the race, but I kept think it was going to get worse. My word that one hill was a killer, it just never ended. It felt like it went on forever, and every time we went around a corner the road kept climbing! I’m pleased to say that I hardly walked, I ran, albeit slowly. As for the weather, it was chilly and it rained for the last few km’s of my run. It was thankfully, gentle rain… although it was hitting us sideways which wasn’t too pleasant. I’m glad I wore a visor which kept the rain out of my eyes. And it was dark… it was so strange running the first 7km in the dark! Talking about the first few kms, I must say that the start felt strange. I started in the D group, and it was strange to run with so many people that were running at the same pace as I was. Normally at the beginning of a race, you have lunatics flying past trying to get to the front, and walkers that you have to negotiate around. There was none of that in this race. Because of that, I really didn’t feel the congestion at all. I loved that the boys and Lance were there. I spotted them in the crowd at the start as we ran past, and then spotted them again in the crowds at the end. It was awesome to have them there cheering me on. It was a very long day for them too… we’d got up at 3am to get to the start in good time! And because of the palava with the horrendous shuttles at the end, we only got back to Somerset West at 11! We eventually got an Uber cab to take us back to our car… that’s a huge learning for the next time we do it… we will NEVER rely on a shuttle again, it was a disaster. I looked like a bit of a yellow blimp while I ran this race! I tried really hard to get black compression socks, but ended up with my yellow ones. And the knee guard? Well, I was so worried about my knee because of the last race, that I bought it for this race… not sure if it made a difference, but my knee isn’t too bad this week. Because of the cold wet weather, I was actually quite pleased with my long socks, they kept me warm! PS. 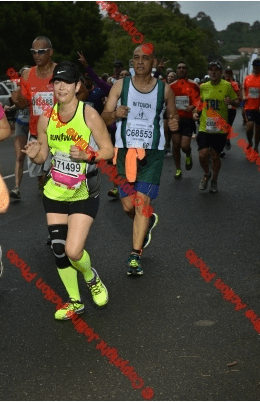 When I can pay for the photos, they will be replaced by the non-copyrighted ones… I am splurging for this race… for some reason my payment keeps getting rejected. My friend who did the ultra also talked about that never ending hill!!! And he said the best thing he did was to use uber! Yes .. the medal is lovely !!! By the way – forgive the stupid – what is the deal with compression socks? What are they used for? congrats again! You did awesome and the medal is indeed beautiful! Love that photo of the windmill….. Huge congratulations! Would you have seen yourself doing this 2 years ago? And my, lovely medal. Well done Jenty! I LOVED Oceans and will also def be doing it again!